THE FAITHFUL was one of nine completion support grantees from The New York State Council on the Arts Electronic Media & Film Program in Partnership with Wave Farm: Media Arts Assistance Fund (MAAF) for Artists. The Faithful is a feature length essay film exploring the enduring phenomenon of three global icons: Elvis Presley, Pope John Paul II, and Princess Diana. Launched by the discovery of a Pope lollipop for sale at the Vatican, the filmmaker embarks on what will become an obsessive 20-year journey to the annual memorials of these icons documenting the rites and rituals of their followers, in this meditation on fans, faith, and image. MAAF funding will support the sound design, mix, and voice-over recording. 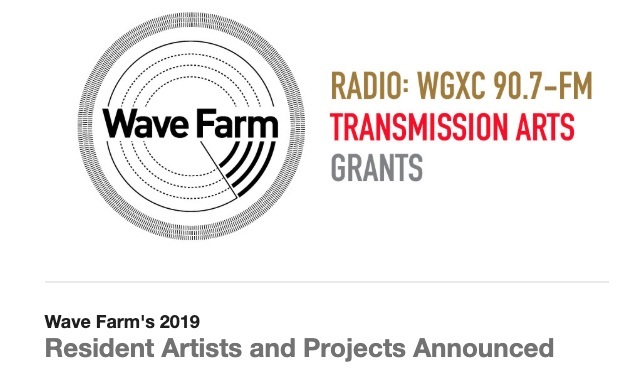 - FOR IMMEDIATE RELEASE - DATE: March 11, 2016 CONTACT: Galen Joseph-Hunter, Executive Director, galen@wavefarm.org (518-622-2598) Wave Farm Announces Individual Artist Grantees for the 2016 Media Arts Assistance Fund Acra, NY— Wave Farm announced today eight recipients of the 2016 Media Arts Assistance Fund for artists: Annie Berman, Brenda Ann Kenneally, Eli Keszler, Joseph McKay, John Morton, Erik Moskowitz and Amanda Trager, Margo Pelletier, and Sue C Perlgut.